Back in the day when I attempted fitness and speed, every dog chase was a sporting challenge and an opportunity to turn on some speed. It was part of the adrenaline rush I sought in my rides. When I was in top form, even the fastest dogs struggled to keep pace and even the meanest ones were working too hard at sprinting to coordinate a lunge and jaw snap. But that is no longer the case. 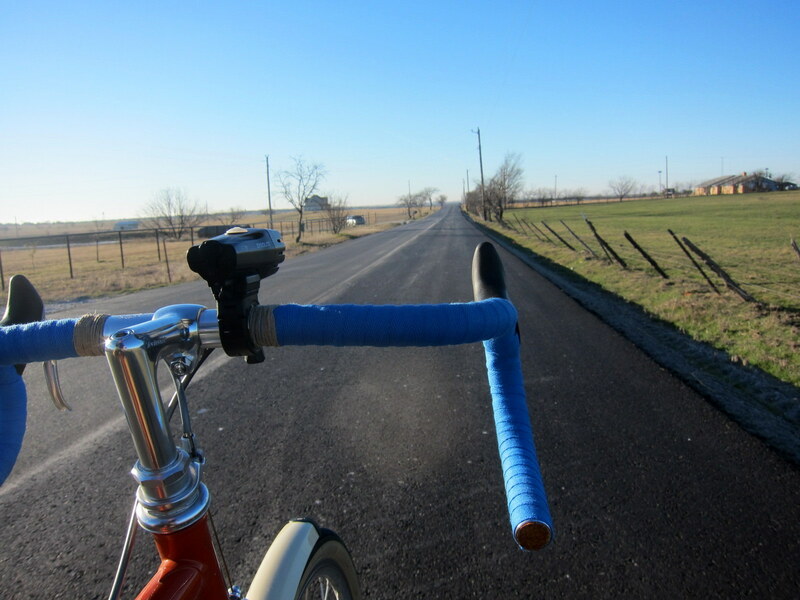 Today’s ride, however, reminded me of my glory days. Two dogs had an early jump on me and were already at full speed across their yard before I noticed them. As usual, dogs chase me when I’m going uphill. 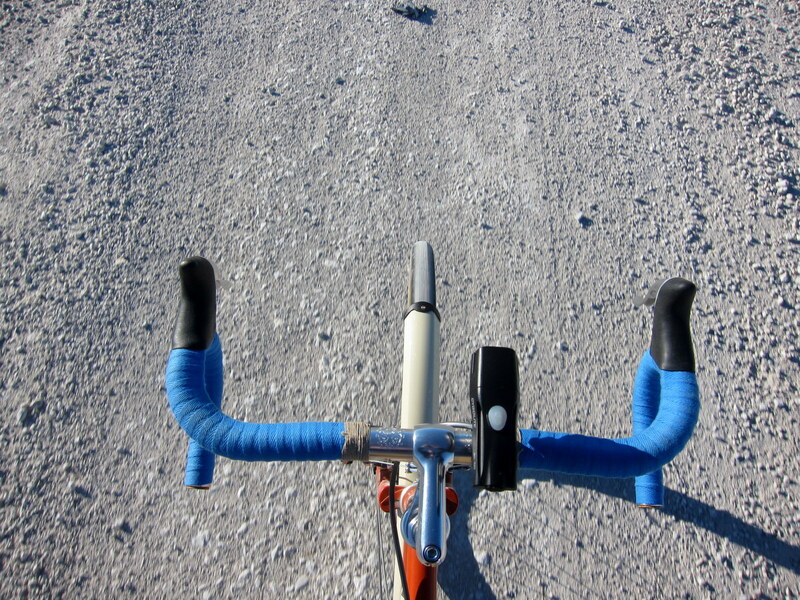 But my Quickbeam with Barlow Pass tires rolls pretty fast, I had a gentle tailwind, and was zipping along well myself. So well, in fact, that I reached their intended cut-off spot before they did and simply rolled away from them. Those feelings of fitness and smug superiority came flooding back, and it was sweet. Victory and glory are mine! Disclosure – The dogs were the smallest Yorkie and Chihuahua I have ever seen. I imagine you come across plenty of dogs out in your area. The only dogs that scare me are the ones that approach from the front and cross your path when you’re travelling at a good clip. Great point, some of them seem to have no fear. They were plenty fierce, and their legs moved so fast they looked like a blur. Fortunately, they were tiny legs. Nice! I haven’t “enjoyed” being chased by a dog in quite a while. Seemed when I was younger (and faster) I was always getting chased. During my BMX days it became pretty good sprint practice, and living in the mountains, more often than not, it was an uphill sprint. Yep. Why do the loose ones always live on uphills? I find encountering little dogs are sometimes a comedy of errors on my part. I don’t know whether to out run them, reach for the water bottle and ready to aim a stream for direct hit, head my front tire directly in their path, or stop and call to them in a friendly voice, planning to pet the little buggers. My theory is small dogs are craving attention. Problem is, one can never be sure of their intentions. With seven dogs in our household, I sometimes think I can figure their intentions, but I’m fooling myself. You have seven dogs?? crazy! SOMEONE in our household has seven dogs, my love, and it isn’t the bike freak. I guess our household is all kinds of crazy. Dabbling with some dirt drops? :). I like the blue tape! Wanted to play fixed wheel for awhile. I added the Barlow Pass tires, and went back to the Noodles at the same time…for variety sake…well, and with the gear I have, I’ll need to grab those drops to grunt up a few hills. You are no stranger to dogs, so you have all the necessary tricks. I have been chased by an American Bloodhound, once in Denton County, which was a close call, but most leave me alone when I yell, “STOP – NO”. Thanks. That blue tape is a little brighter, and flashier than my normal choice. I guess its okay, but I’m not sure its me. We’ll see. The line from American Fliers, Come on Eddie, is for the young and fast. KC,MO must not have dogs. My son had a bad experience with a mean dog around Longview Lake. I went to 2 KC area bike shops to buy him a bottle of Halt, dog mace, and could not find any. One shop said I guess our riders are not bothered by dogs. I use it only as a last resort. Young and fast is sweet, but old and wise has advantages too. I have a few tricks that I’ve picked up along the way. The slower and clumsier I get, the funnier I become.